Please align the footer of the chat websites such that it is aligned with the content of the chat room selection page. The footer is currently left aligned and looks odd. 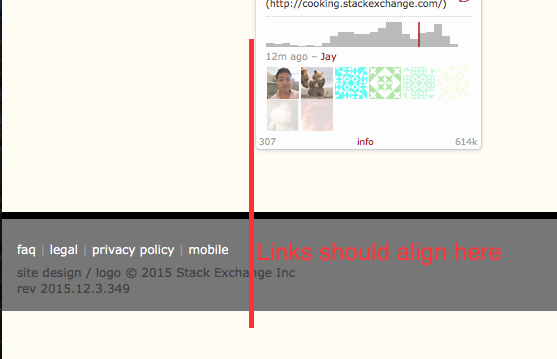 Browse other questions tagged feature-request stack-overflow chat design footer .